So again - no updates for a very long time - been busy with life and work and everything else! Recently we've been doing a lot of petsitting since our dog Hannah died in 2016. Agreed to look after a beagle/cavalier cross for a friend without meeting the dog first - big mistake! After one night, he'd torn up our lovely back wooden sliding door... making it look something like this! 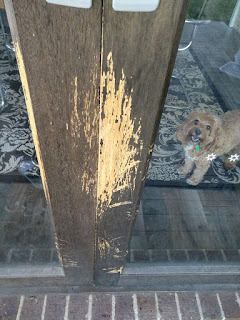 Some more big scratches here, a few mm into the door itself! 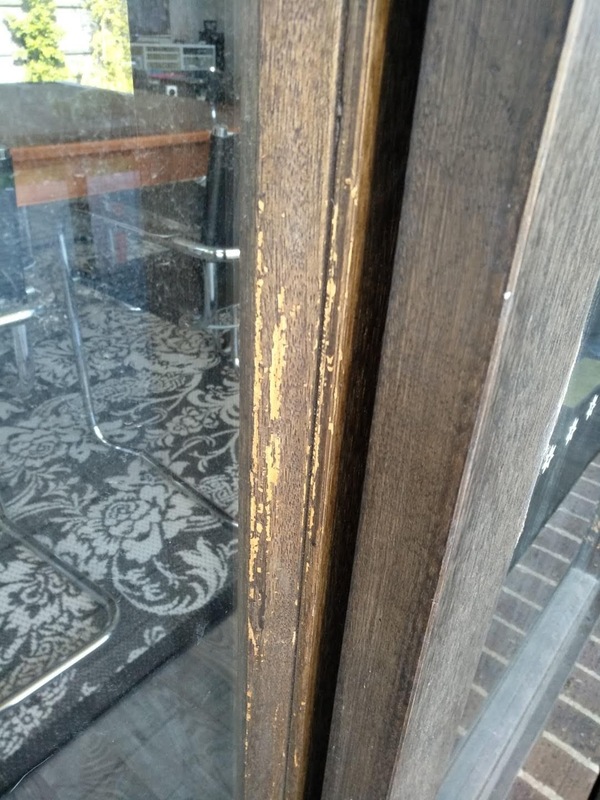 Not sure if you can see the chunks missing at the bottom of the door! And no, that's not the guilty dog in the background - yet another doggo we're looking after! So anyway, we're left with a rather sorry looking rear door. I thought about getting a professional in for the repair, and figured (as usual) I'd give it a crack myself. I mean, the worst case scenario would be I'd call in a professional to repair my botched job anyway, right? So, off to the big green shed with $2.50 sausages to buy some supplies. 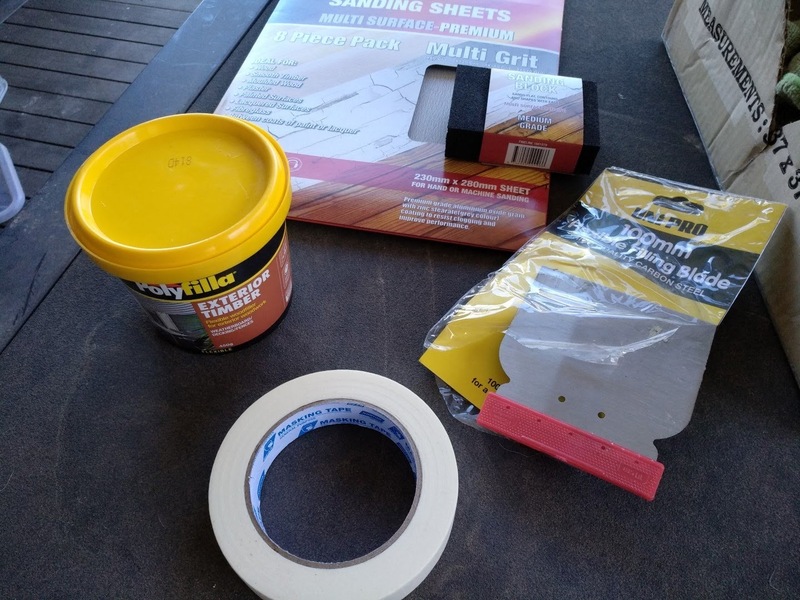 Picked up some masking tape, exterior wood filler, a metal blade and a bunch of sandpaper. 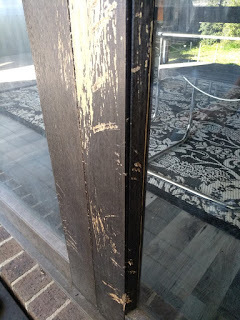 Before going any further, I removed any loose wood from the scratches and rubber everything down with a rag to remove any dirt/dust and loose bits. 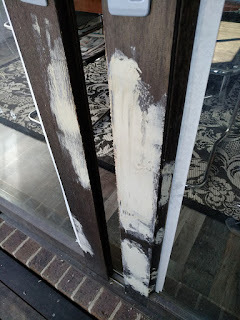 Then, taped up the glass next to the damaged areas. 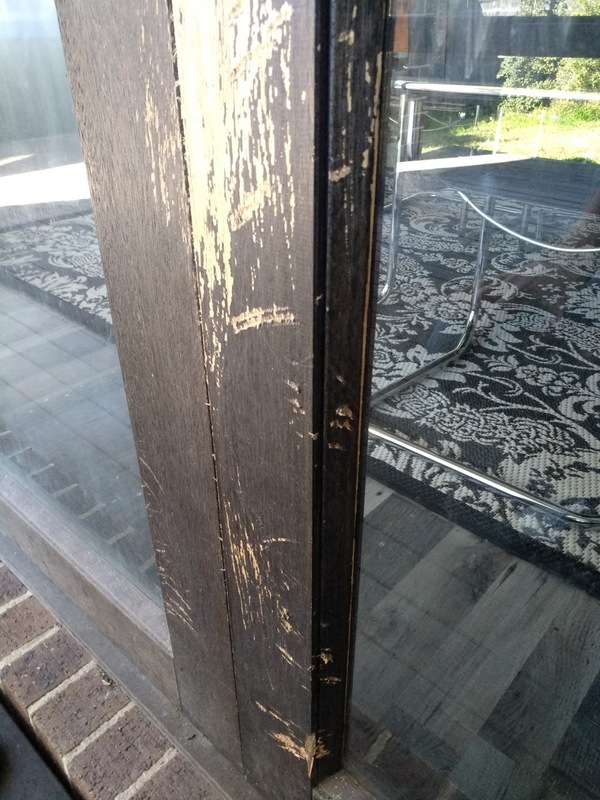 Opened up the wood filler, and began slapping it into the damaged areas, using the metal blade to gets things kind of close to right. 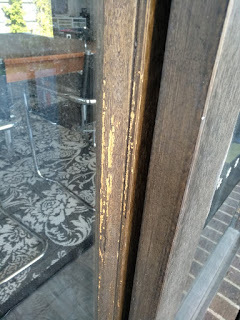 You don't want to put too little in (which will leave a depression) or have too much which will take ages to sand down. Aaaaand.... that's as far as I got. The filler needs a while to set (it says 3 hours) and then I got distracted by playstation and went to play some games. Hopefully this weekend I'll have a bit of time to get sanding. 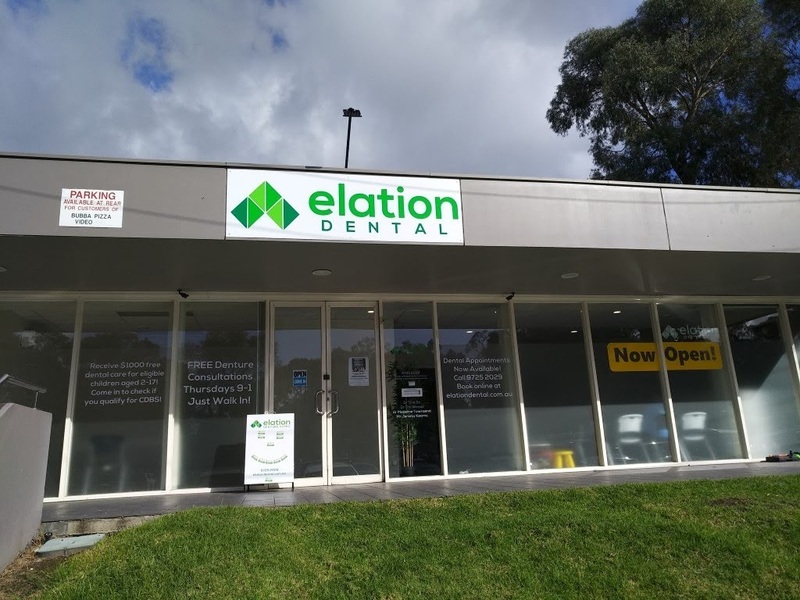 And for anyone living in Melbourne's outer eastern suburbs/Yarra Valley, we're proud to announce the opening of Elation Dental in Croydon South! Located at 111 Bayswater Road (corner of Eastfield Road, at Eastfield Shopping Centre) our brand new, state of the art dental clinic is now open to serve our local community! 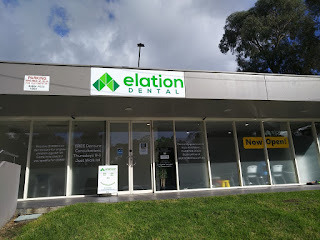 Our dental clinic is close to Ringwood, Heathmont, Kilsyth. Bayswater, Ferntree Gully and the Yarra Valley! We've got some great opening offers - for example, up to $1000 bulk billed dental care for eligible kids under Medicare CDBS! Also NO-GAP Preventive care for all kids/teenagers under 18 - that means checkups, cleans, xrays and tooth sealants are fully paid by your private health insurance! Plus if you're an adult with ANY private health insurance from ANY company, your complete checkup package (worth $385) is only $50 gap! 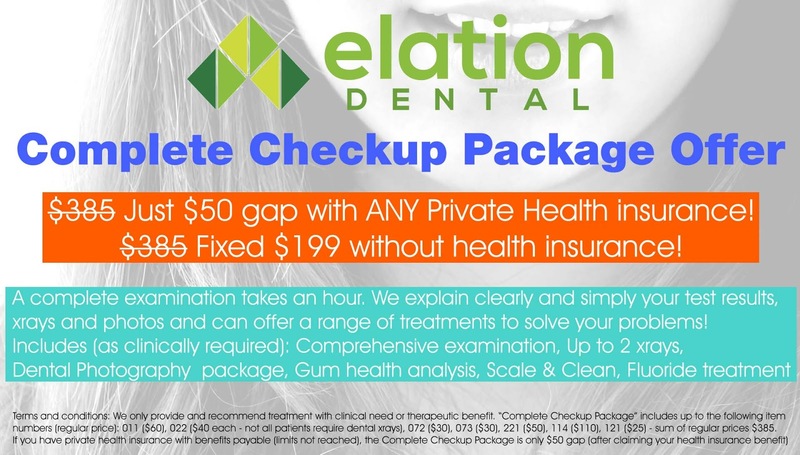 Anyway, for more details on our clinic and location, click here to visit Elation Dental Croydon South! And for our readers on the west side of Melbourne, Verdant Dental at 326 Keilor Road Niddrie is available to welcome all new patients!